I must ask up front… Should this be also categorized as an outdoor museum? A few years ago when I was working on my giant museum list, I apparently thought so. Then I (finally) found the place, spent some time here and decided against it. So it will gain its place on CTMQ in the National Historic Landmarks section with a quickie page in the cemeteries section. 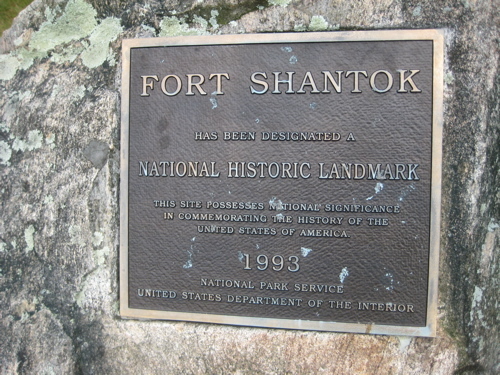 But don’t let that dissuade you – not only is Fort Shantok a historically interesting place with lots of interpretive signs, it’s a former state park and a current attractive park for picnicking, walking or rain dancing. This place is cool – and sacred to the Mohegans. So it’s nice that the state sold (yes, “sold” for 3 million bucks, not gave) back the former Fort Shantok State Park to the Mohegans in the early 1990’s. 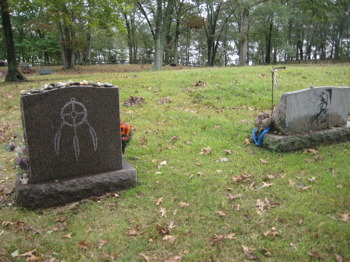 Officially, the area is now known as Shantok, Village of Uncas and is half day park and half burial ground/ceremony site. Best of all, it’s free and open to the public. 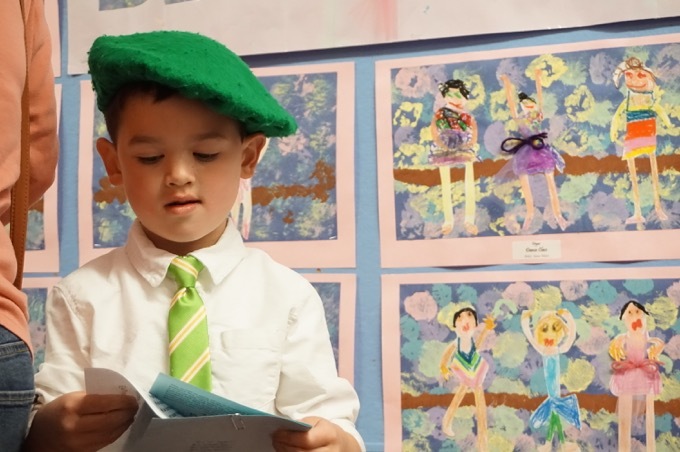 Even, apparently, during ceremonies. For NHL purposes, it’s an archaeological district. It is one of the few places where Native American ceramics have been preserved in southern New England in any state, due to the area’s highly acidic soil, climate, and colonial construction. These ceramics have been used in an attempt by archeologists to determine migration patterns in local New England tribes, such as the Pequots. So says Wikipedia anyway. Ok, but really, what was this place? A fort? A burial ground? What? 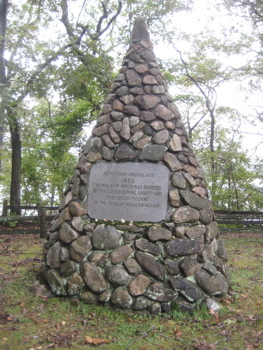 Fort Shantok was the site of the principal Mohegan settlement from 1636 to 1682 and the sacred ground of Uncas, one the most prominent and influential Mohegan leaders and statesman of his era. 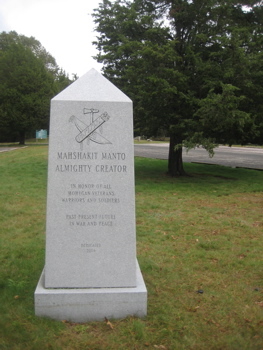 Originally part of Mohegan reservation lands, the property was taken by the state of Connecticut in the 20th century and Fort Shantok State Park was established. 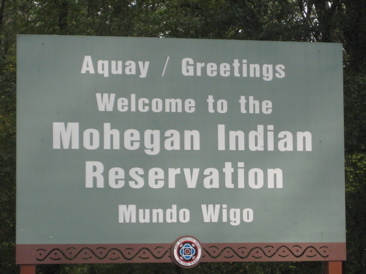 In 1995, following legal action by the tribe to recover its lands, the state returned the park to Mohegan control. 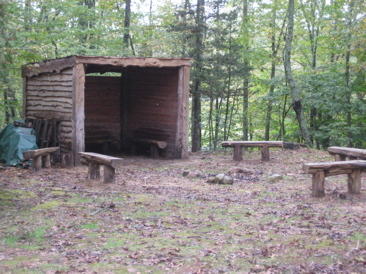 The tribe now operates the area, part of its reservation, as a local park. They left out the “the state returned the park to Mohegan control” for three million wampums part. Anyway, that paragraph didn’t answer my question. Let’s try again. 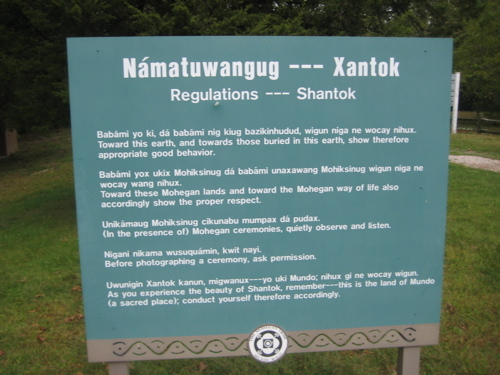 Fort Shantok represents a location of distinction to the Mohegan people, because it is the first site where they settled with Sachem Uncas in the 17th century. In addition, Fort Shantok was used as a stronghold by the Mohegan leader Uncas when fending off an attack from the Narragansetts during 1645. Although the fort was sturdy and well-defended, the attack continued until an English force led by Lt. Thomas Leffingwell provided reprovisions. At this point, the Narragansetts abandoned the siege and returned home. Back to Rhode Island with you and your crappy beer. This is one of three signs containing park rules. “Xantok” is so much cooler than “Shantok.” Stupid white people. Leffingwell’s old house across the Thames in Norwich is now a museum. Oh, and I find it odd/interesting that the main man himself, Uncas, is not buried here. He’s not too far away in Norwich and yes, I’ve been there. One more thing – the woods here are called the “Freedom Forest.” Just thought you’d like to know that. A few small corrections, because I know your a stickler for accurate details. The Freedom Forest is just the small patch of Pines (near the main entrance and west of the pond) that were planted, in dedication to the soldiers who fought during the first Gulf War. The Leffingwell House is not across the river, it is Up river. You do have to cross the Yantic River to get there. The Thames River is where the park is located. 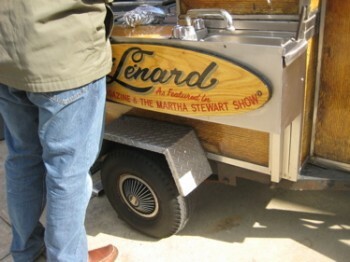 Also, Heard the rebroadcast of the NPR show today. You should not have taken pictures of the burial ground, much less, posted them on the internet. I’m curious as to why you say that, James. It’s a National Historic Landmark and as such, there are tons of pictures of it on the Internet. It’s in a public park. Can people use metal detectors in Connecticut state parks? 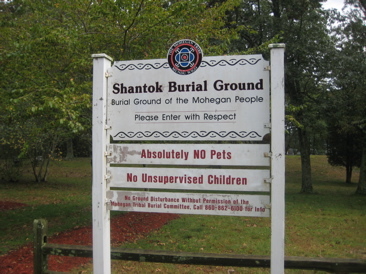 Please remember Shantok is not a Connecticut State Park but is an American Indian Reservation. Metal detectors and the digging of holes is not permitted. Trying to follow my ancestry. I was told I have a relative buried there. Who do I speak with to check for accuracy.